The 7-inch touchscreen screen takes centre stage for obvious reasons and allows you to take control of everything within easy arms reach. Entry level versions come with air conditioning, the 7-inch touch screen, the panoramic windscreen, keyless entry, park assist, reversing camera and electric windows both front and rear. Boot space rivals any other make in its class with up to 537 litres on offer. Fold the seats flat and you get access to 1,851 litres of space. 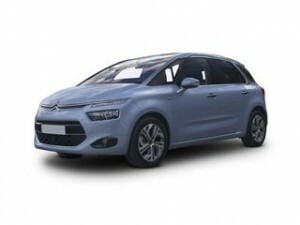 The C4 Picasso leads the way in affordability and value for money. That’s not to say you can’t make further savings when purchasing a new Picasso. The people at Coast2Coast Cars have unique relationships with Citroen dealers to get you exclusive deals saving you hundreds or thousands of pounds. All it takes is 2 minutes of your time and the savings could be substantial. Build your car with our easy to use step by step form and we do the rest. Should you require finance we can also advise on this too or the dealer can. There’s no fee for using us and no obligation to purchase the car once you have viewed your quotes.